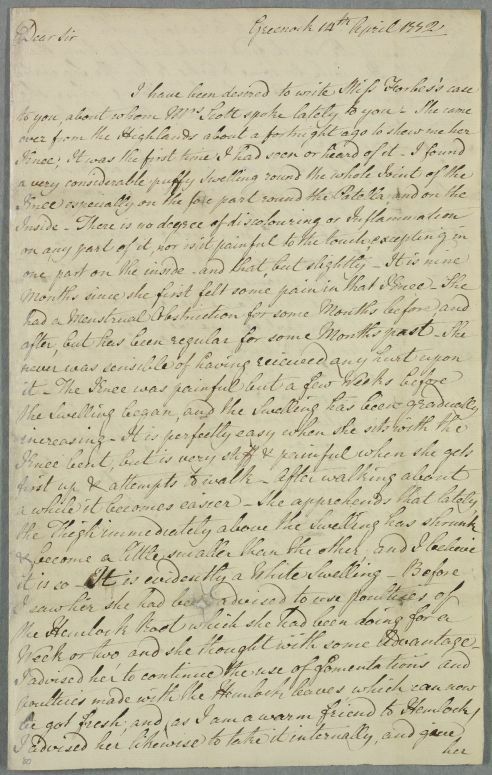 Letter from the surgeon Gavin Fullarton regarding the case of Miss Forbes, who suffers from a 'White Swelling' of her knee. 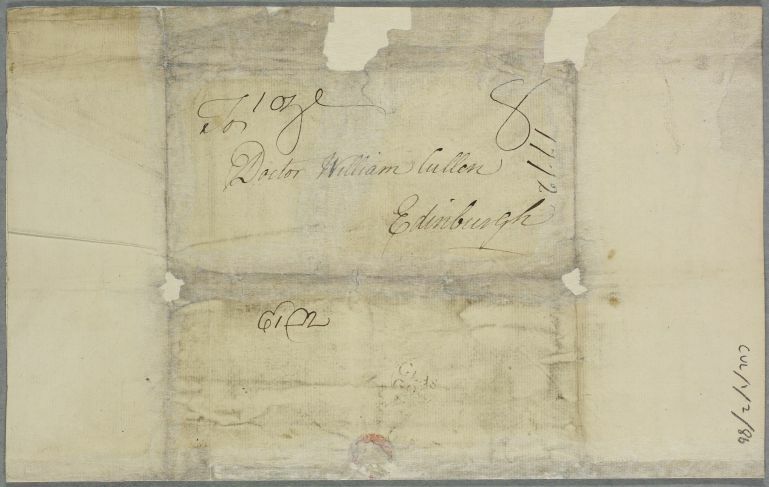 Also served as cover-letter for an account of inoculating against smallpox (identified as Letter ID:810). Reference to 'Mr Sutton' has been assumed to be the inoculator Daniel Sutton, but might refer to Daniel's father Robert Sutton who had originally devised a safer method of smallpox inoculation. Summary Letter from the surgeon Gavin Fullarton regarding the case of Miss Forbes, who suffers from a 'White Swelling' of her knee. 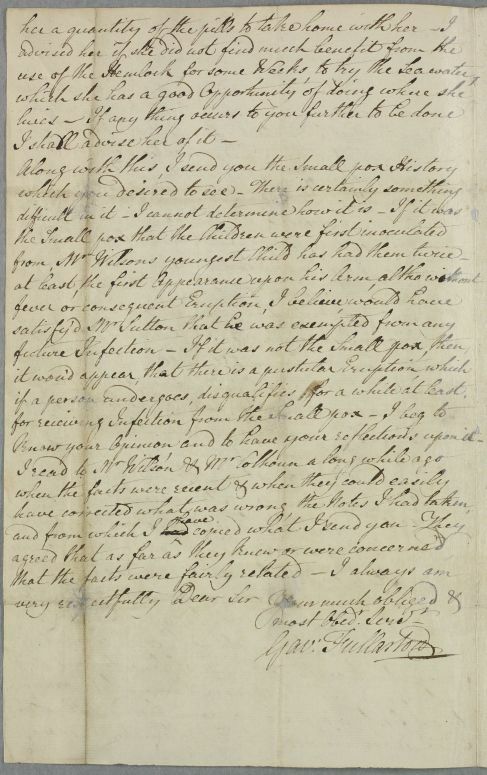 Also served as cover-letter for an account of inoculating against smallpox (identified as Letter ID:810). Reference to 'Mr Sutton' has been assumed to be the inoculator Daniel Sutton, but might refer to Daniel's father Robert Sutton who had originally devised a safer method of smallpox inoculation. Case of nine children inoculated against small-pox by Greenock surgeon Gavin Fullarton.